YOU’RE ABOUT TO DO THE BEST THING EVER, AND YOU DON’T EVEN KNOW IT. We’re thrilled you’ve found your way to My Petential Dog Toys™! You’ve been scrolling and clicking, clicking and scrolling, weighing the options for a new set of toys to purchase for your best friend. Your dog desires to be the greatest at canining, and by gifting him/her these interactive chew toys, you will effectively assist your pet in elevating his canine game to the upper level. PEOPLE ARE FOR SNUGGLING, TOYS ARE FOR CHEWING, and this set of fun, interactive toys will help teach your dog the difference. I think we’ve all experienced the nip of an over-excited canine at some point in our pet-loving lives. It’s not cool, and it’s especially uncool when your dog bites someone who isn’t you. Then people get mad, the dog gets pegged as ferocious—it turns into a whole big thing. Nobody wants that. Your dog is canining right when he knows that humans are for nuzzling, and sometimes for licking, but never for biting. THESE TOYS COMPLETE THE HEALTH AND FITNESS PACKAGE. Your dog, in many ways, is just like you. Do you both need a balanced diet? Yes. Do you both need love, affection, and attention? Yes. Do you both need physical movement? Interaction? A few moments to just let your hair down and set aside the worries of life? Yes! Yes! Yes! 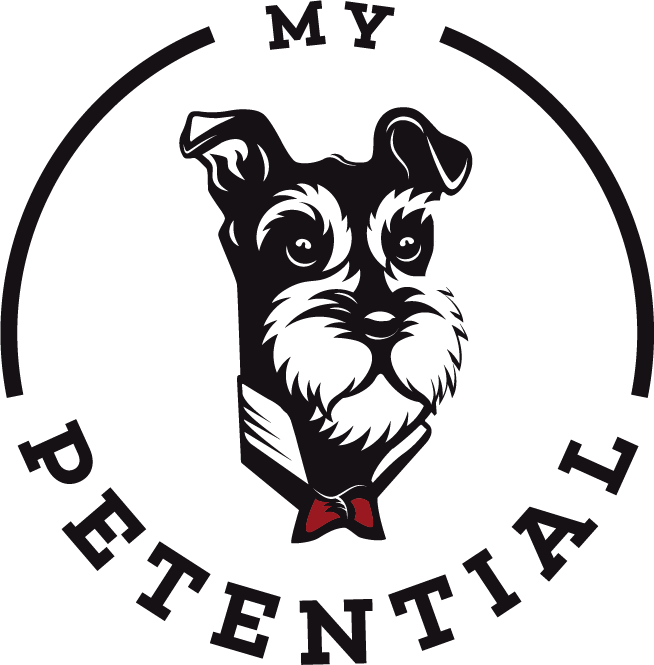 My Petential Dog Toys™ are the perfect addition to your pet’s established health and fitness routine. If his wellness routine isn’t yet established, this is the ideal way to get it off on the right foot. Your pet will be thrilled that you’ve added these toys to his premium diet, playtime, snuggles, and healthy conversation. You’ve got a balanced dog there, and you’re adding life to his years. VARIETY IS THE SPICE OF LIFE. Not many of us want to do the same thing, every single day, without any change. 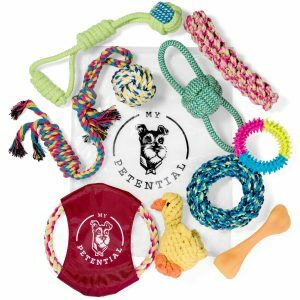 Your dog isn’t any different—that’s why there’s not one, not two, but TEN different toys in the My Petential Dog Toys™ pack! We’ve got a myriad of shapes, sizes, and textures to keep your dog’s curiosity and excitement piqued, so he’ll never get bored. THERE’S A 30-DAY SATISFACTION GUARANTEE. If you and your dog aren’t thrilled, send them back. It’s that simple. Now, be honest. When you first thought about ordering My Petential Dog Toys™, did you have any idea that you could be participating in such greatness? These toys will truly do their part to help your dog reach his full petential. Now that you know, you can gaze on your beloved pet’s playtime, knowing that you’re doing your part to keep him canining like a boss. Questions? Concerns? Comments? Shoot us an email at customerservice@mypetential.com, and we’ll be happy to help you find the answer! Don’t be shy—spread the word to your pet parent family and friends! Send them over to https://www.amazon.com/gp/product/B0711NC174 to join in on the fun.